If you were a fan of college rock in the 90’s, then the names Petra Haden and Yuka Honda should be familiar to you from their roles in bands like That Dog and Cibo Matto respectively. 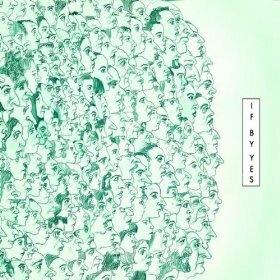 The duo recently joined together along with Hirotaka Shimizu and Yuko Araki of Cornelius in a new band entitled If By Yes, and released their first album Salt On Sea Glass, which offers a very comfortable, ethereal tone with moments of experimentation and jamming. The strongest tracks on the album features guests such as Keigo “Cornelius” Oyamada, who remixed the intro track, “You Feel Right,” and David Byrne, who co-wrote and sings on “Eliza.” This early one-two punch sets a great tone with an interesting and melodic blend of pop rock, lounge, electronic, and world music. However, as the album continues, the sound develops in a more moody, almost psychedelic direction. Songs such as “Three As Four,” “Imagino,” and “Adrift” have a ghostly feel mixed with elements of classic rock such as sound effects and backwards looping of The Beatles and guitar and saxophone solos that feel at home with Pink Floyd’s Dark Side of the Moon. But because of the smooth vocals and melodic nature of the music, it comes off like a very spacey unthreatening pillow-puppy jam. The album is an interesting musical experiment with a few really good songs and the band does pull it back together with a secret bonus track that adds some backbone to a cool guitar, bass lick and up-tempo drum beat that works well.